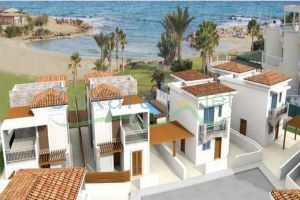 Protaras is one of the most beautiful areas of Cyprus, extending along the island’s western coast. 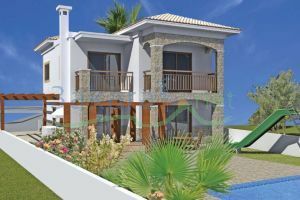 With its crystal-clear waters, white-gold sand and several small islands along its beaches, it is a cosy paradise that offers a haven of relaxation for Cypriots and tourists from all over the world. Protaras is known as ‘the land of windmills’ and maintains the nostalgic quality of its past through its original windmills and Venetian architecture, whilst offering every modern amenity. Thanks to significant expansion over recent years, a host of hotels, bars, restaurants, clubs, shops, entertainment and water sports are all within walking distance and make the most of its beautiful beaches. 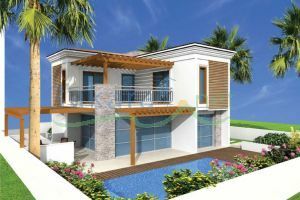 Located just 45 minutes from the main airport of Larnaca and its city, and 5 minutes from the town of Paralimni, there is something for everyone just moments away. 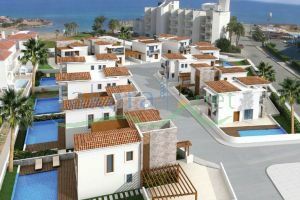 THE PROJECT: PELAGOS Exclusive Beach Villas are located in the heart of Protaras, right on one of its most beautiful beaches, making this an exclusive and sought-after development. 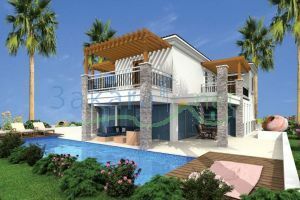 This distinguished Mediterranean style project consists of 12 luxury villas - each with a unique architectural style, panoramic view balconies and space for a large private pool. 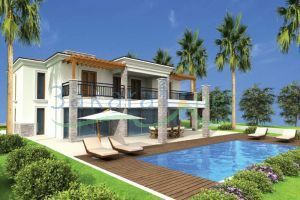 Thanks to the generously sized plots, each villa will also enjoy a spacious garden. 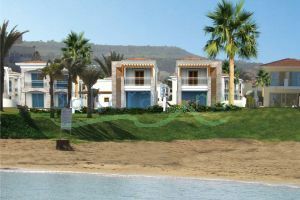 Choose from 3 - 4, and 5 bedroom villas, all offering superior comfort and fully equipped with modern appliances. Surrender to the irresistible charm of the sun as it casts its golden rays over the calm, turquoise-clear waters of the famous Protaras beach, and let Pelagos Exclusive Beach Villas evoke a trilogy of senses...Feel the sand, smell the sea, breathe in the fresh Mediterranean air. 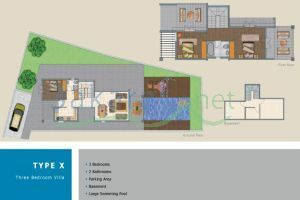 Type X: 3 bedrooms villas: 3 Bedrooms, 2 Bathrooms, Parking Area, Basement, Large Swimming Pool.